Captain Cook Cruises will have you hopping mad all over Sydney Harbour this summer with a variety of specials it has just released for its Hop on Hop off Sydney Harbour Explorer cruise. 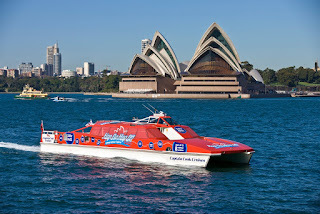 Passengers can add-on Sydney Harbour National Park Islands including Fort Denison and Shark Island for only an extra $7 all year round and for a limited time in December 2012 and January 2013 they can also visit Goat Island with an extended 48 hour pass. For a total Sydney Harbour experience a three day pass for just $99 is also available which includes entry to all two or three national parks, a return ferry to Manly and entry into either Taronga Zoo, Sea Life Sydney Aquarium, Madame Tussauds or Sydney Tower. Captain Cook Cruises, Hop on Hop off Sydney Harbour Explorer is an adventure transport ticket for tourists, kids and their families. 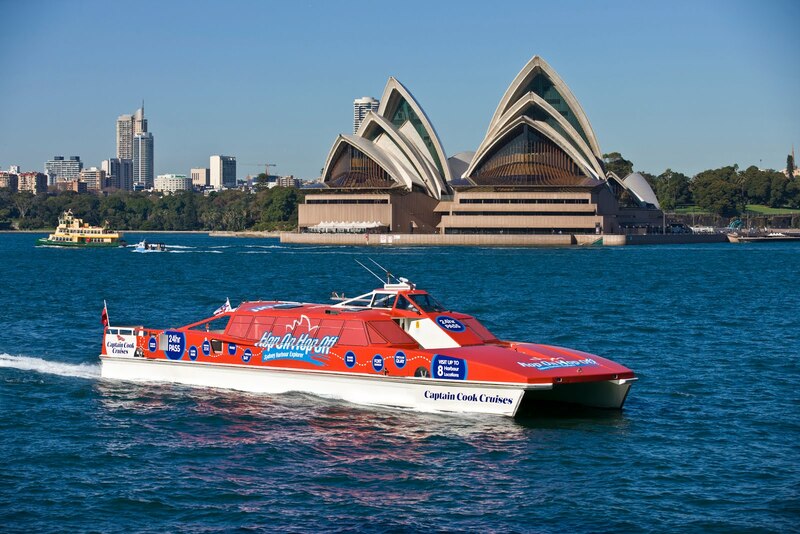 The 24 hour pass gives passengers the freedom to hop between nine famous Sydney Harbourside attractions, all aboard fun red rocket ferries that the kids will just love. An entry level 24 hour ticket includes Circular Quay, Taronga Zoo, Watsons Bay, Luna Park and Darling Harbour and is priced from $42 adults or $112 for families of two adults and two children (5-14yrs). A Sydney Harbour National Island pass can be added for just $7 and includes Fort Denison and Shark Island all year round. An added bonus between 15 December 2012 and 03 February 2013 entry to Goat Island is also available to Hop On Hop Off passengers with an extended 48 hour pass to visit all three islands. The three day Hop On Hop Off pass is priced at $99 and includes Circular Quay, Watsons Bay, Luna Park, Fort Denison, Shark and Goat Islands and also includes a return ferry from Circular Quay and entry into one of the following attractions: Taronga Zoo, Sea Life Sydney Aquarium, Madame Tussauds or Sydney Tower. The pass is available for sale to 31 January 2013 and travel to 30 June 2013, making it an ideal Christmas gift idea.